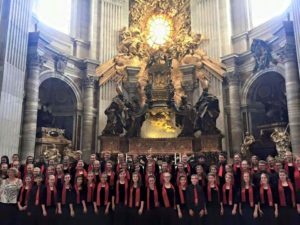 It was with great excitement that Mrs. Lana invite Bel Canto and the Friends & Families of the Cincinnati Children’s Choir to Italy where they were selected to sing mass at the Vatican and to represent the USA at the World Expo in Milan! She was extremely honored to have CCC recognized internationally in this way. 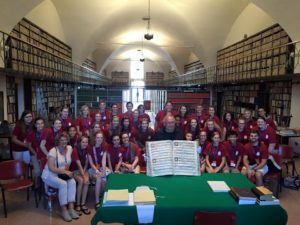 During our time in Italy, singers had opportunities to interact with Italian youth, experience the history and culture, and perform in glorious concert venues. 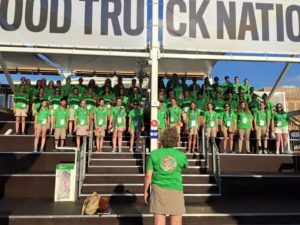 CCC is recognized as one of the finest youth choirs in the US. As such, it was an honor to appear on behalf of our country and share our voices and artistry. 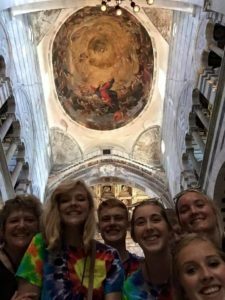 After working with Perform International, it was clear that they share our cultural, artistic, and education philosophies. All participants had a life changing experience during this week long adventure.